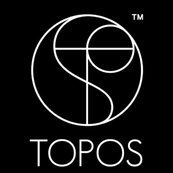 Working with TOPOS was a great learning experience for us. They did the interiors for our living, dining and bedrooms as well as our bathroom. They were recommended by our friend and in sort we just went with their recommendation. The overall cost was not that cheap but neither was it expensive. I guess you pay for what you get and in this case we got more than what we paid for and the overall product was excellent and we love our new place. Achieving what we wanted can be a wonderful experience but not without some frustration on everyone's part. The most important part however was how they are overcome. To be frank, TOPOS did the design and delivery in a really short period of time and we are grateful. Kudos to Alan and his team. We do highly recommend them and we wish them all the success in their business. More design awards too!!! !